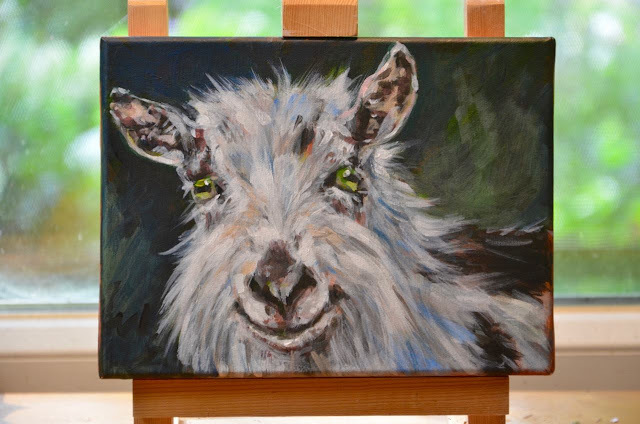 Lots going on at the moment that kept me from painting but today I finally had time to continue with 'Koetje' my new billy goat friend. I think I'm nearly there, just a few highlights and tiny defenition here and there. I'm really happy, it was a challenge to not overdo the fur and lose directness but I think it's working. Wanted to do a pig painting too before the fair but not sure I've got the time. We'll see.